A key concept within the Europe of Knowledge is the ‘fifth freedom’ – free movement of knowledge. 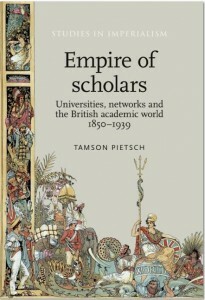 In this Q&A, we ask Tamson Pietsch, a historian, to tell us about how scholarly networks are built in the British academic world. Q1: What is Empire of Scholars about? At the start of the twenty-first century we are acutely conscious that universities operate within an entangled world of international scholarly connection. 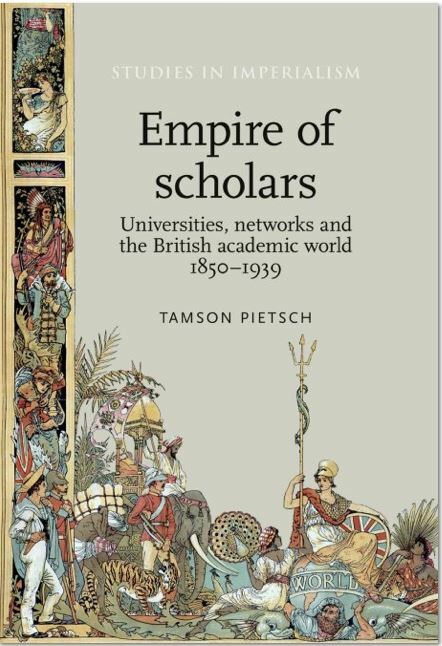 Empire of Scholars examines the networks that linked academics in Britain and the settler world in the age of ‘Victorian globalisation’. It argues that in the 1880s universities in Canada, Australia, New Zealand, and South Africa began to look for new ways to connect with ‘universal’ scholarship, instituting travelling scholarship schemes, leave of absence programmes, and appointment practices that enabled academics working in the colonies to forge and maintain close personal and informal ties with their colleagues in Britain. These networks became crucial to the way that universities in Britain and the settler world operated, and to the making of knowledge in them, helping to map a ‘British academic world’ that extended far beyond the borders of the British Isles. But although it was expansive, this was a world that was also highly raced and gendered – excluding women, scholars of colour, and according only a minor place to Europeans and Americans. When we think about the global world of universities in the twenty-first century, we need to pay close attention to these informal, expansive, and exclusionary networks, for they helped shape the uneven geographies that condition higher education today. This entry was posted in Publications & Events and tagged history, interview. Bookmark the permalink. Previous: Why informal grass-root collaboration matters for European research? Next: Whither will the Europe of Knowledge amidst the Crisis?